Poquoson WeatherBug | AVW Technologies, Inc. 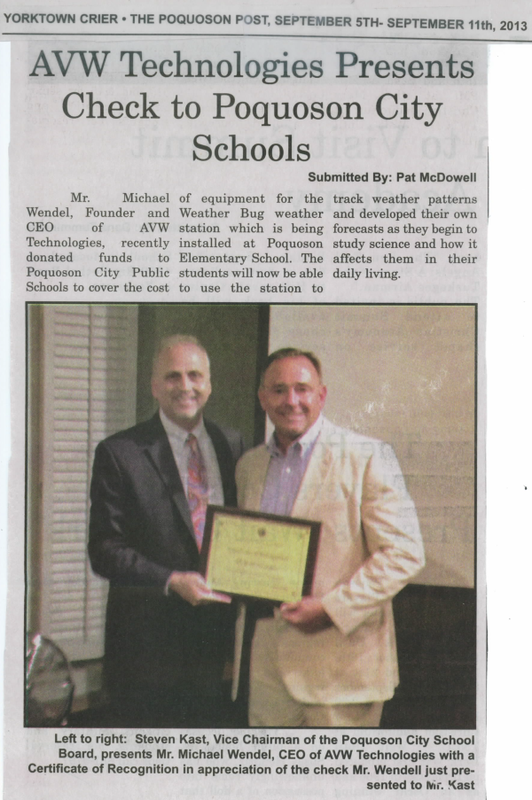 In 2013, AVW made a donation to Poquoson City Public Schools. 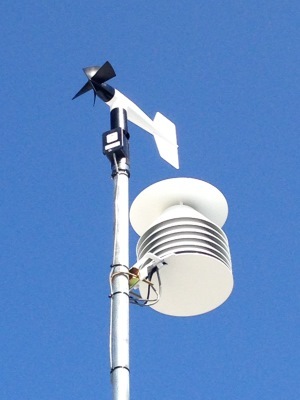 The donation was used for the cost of the newly installed WeatherBug station that is located at Poquoson Elementary. 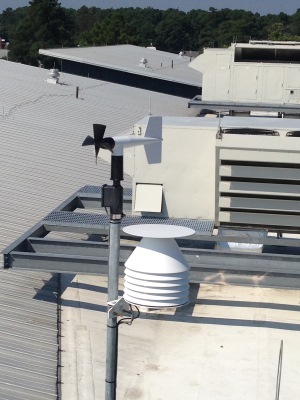 The WeatherBug tracks the temperature, humidity, dew point, wind gust, etc. The teachers and students are able to access all information from the WeatherBug in their classrooms.